Tell us a little about yourself, why Africa? 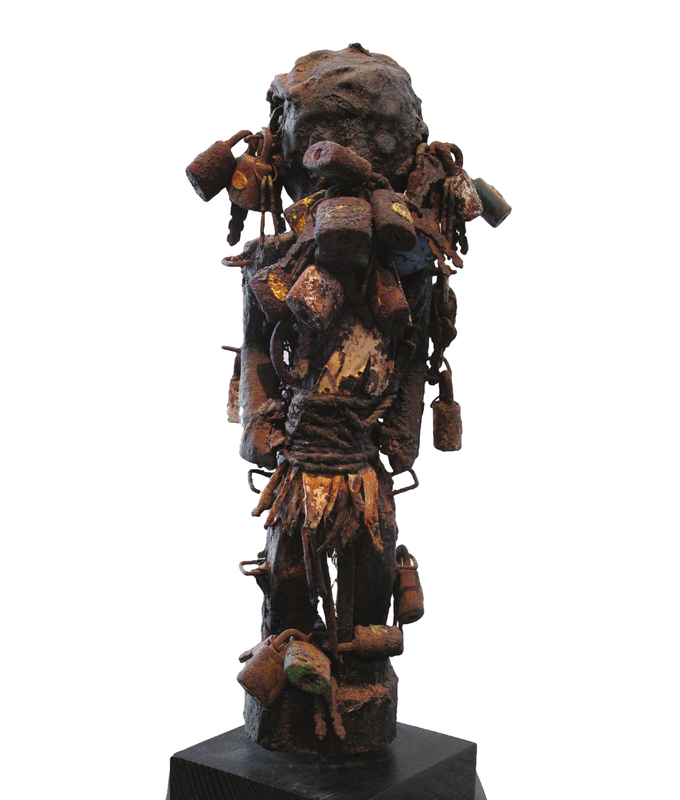 I’ve been collecting African art now for over five decades! I got my first piece when I was 24 years old—a wedding present from my now ex-wife. 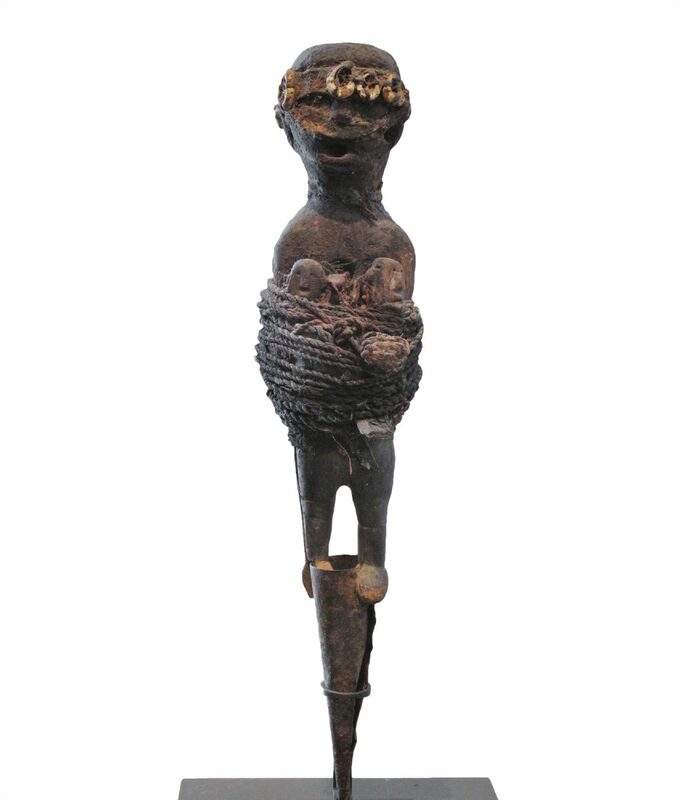 I laughed when she gave it to me because she didn’t realise that what she’d bought was a Yoruba fertility figure. I trained to be an art teacher, I have a B.S. and an M.S. in Art Education but knew full well that I didn't want to teach in high schools any longer than necessary, about three years. A requirement to getting my M.S. was to also study Art History and I vividly remember enjoying the course on African and Oceanic Art the most. The course was divided evenly, eight weeks for African art and eight weeks for Oceania. We used a textbook that was OK, and the professor that taught the course was fairly knowledgeable but African art was clearly not an area of expertise. I would spend hours in the library pouring over books, trying to memorise the various ethnic names to the art that I saw. I’m a very visual person, but I always had trouble discerning stylistic differences among certain tribes—-for example, between Benalulua and Songye. I had more difficulty with figures rather than masks.”. But even though the course was difficult for me, it awakened the realisation that I didn’t much care for European and Western art. At the time, I never felt much from French renaissance and impressionist paintings. 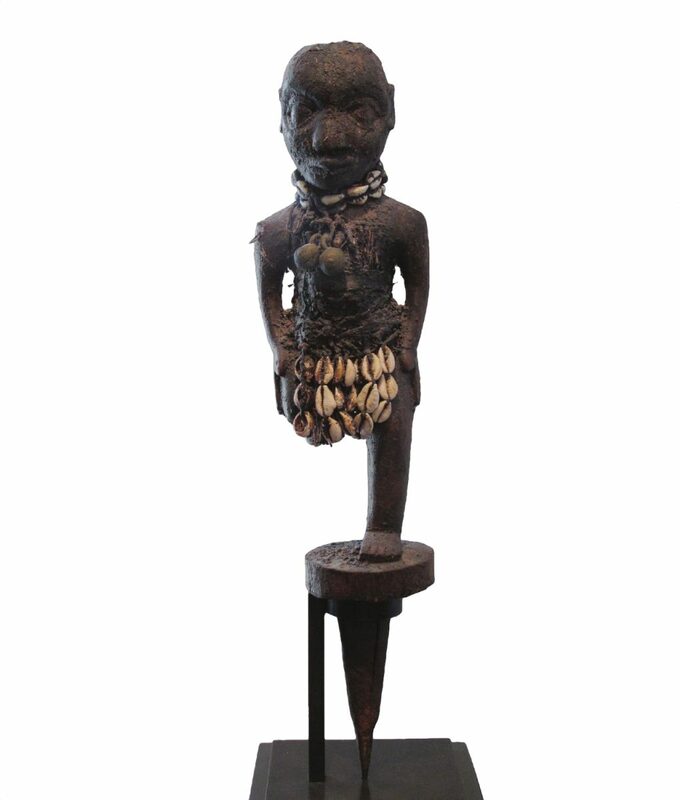 As I’ve matured, I of course now appreciate the big Monets but I never lost my early interest in the visual appeal of really rough African pieces. What motivated you to start collecting? A hunger. 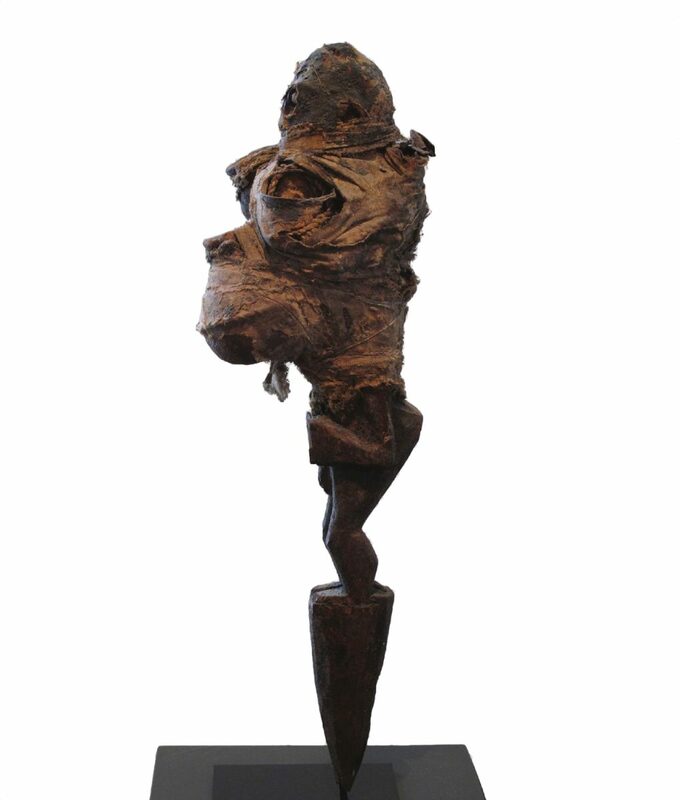 After the first ‘fertility figure’, we would pick up inexpensive pieces—anywhere from between 400 and 1,000 USD—from galleries, auction houses, and dealers. I suddenly had this obsession with owning African art. A lot of that obsession had to do with my work, about 40 years ago I started incorporating the idea of ‘accumulation’ into my designs. The first piece I bought was a ngere mask from a Cleveland dealer that acquired had it from Louise Nevelson. I paid less than 1,000 USD for it. I still have and love it. It’s one of the few pieces that I’ve kept from my early days of collecting. I wanted to surround myself with objects of high aesthetic value so I gradually built up a collection of African figures and some masks. I love anything of an accumulative nature. The William Harper Collection in his New York home. "I can't live in a messy warehouse, my environment is very important to me. I’ve never understood the penchant for some to buy tchotchke, the need to fill homes with imitation French tables. It’s so shallow." How did you become so involved with Fon bocio figures? 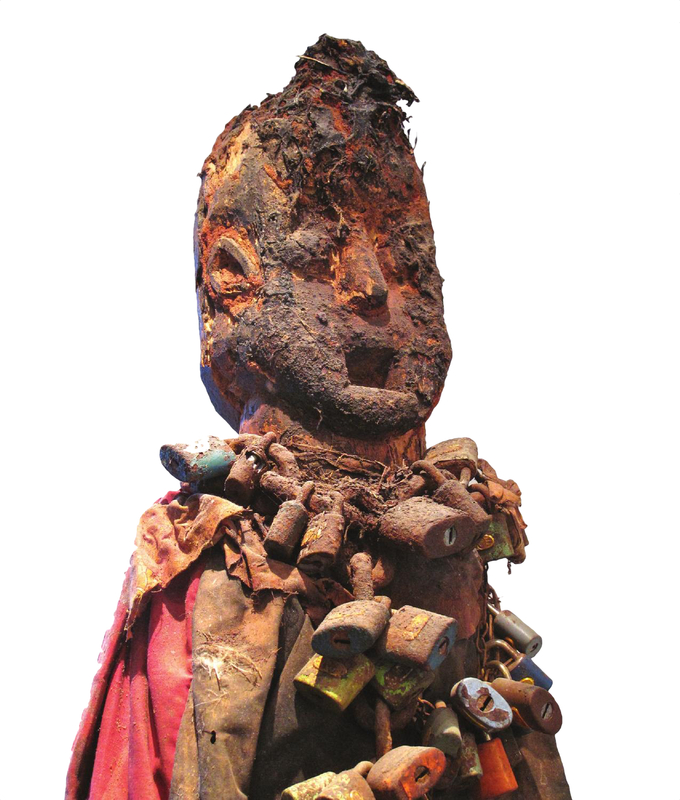 Just before 1995, I visited New York and saw the exhibition ‘Secrecy: African Art That Conceals and Reveals’ at the Museum for African Art curated by Susan Vogel and Mary N. Nooter. The show was about artworks that had qualities of magic and mystery. On display were not the straightforward, highly polished works that people expected to see in museums. These were rough. 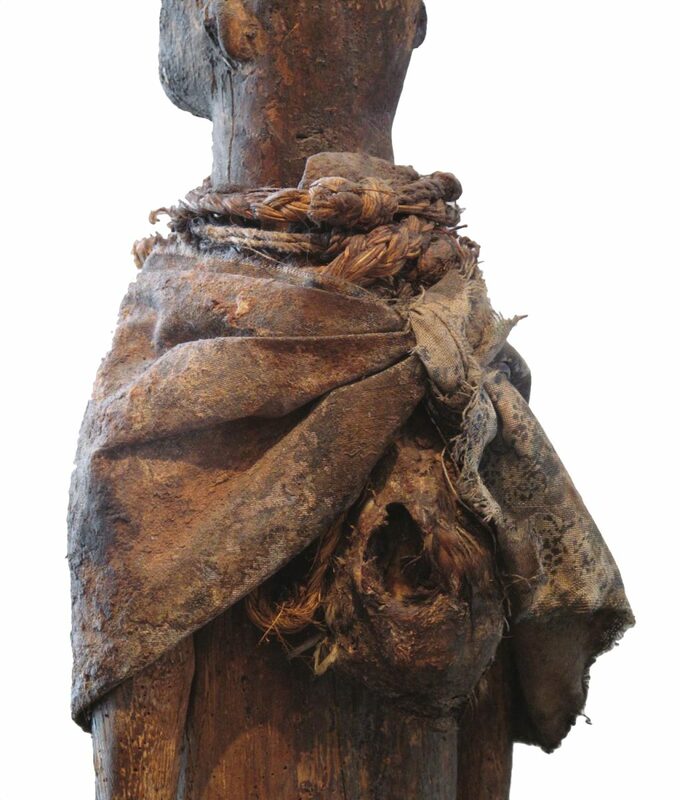 In the exhibition were three small Fon bocio figures, wrapped in cord with little bundles attached. They were not monumental in size but they had a kind of mystery that I had been trying to bring into my own work. It turned out that all three belonged to the collection of one man, Don Nelson in Connecticut, and he had purchased them from the Ben Heller collection. Seeing the Fon figures was one of those moments when the lightbulb went off in my head. 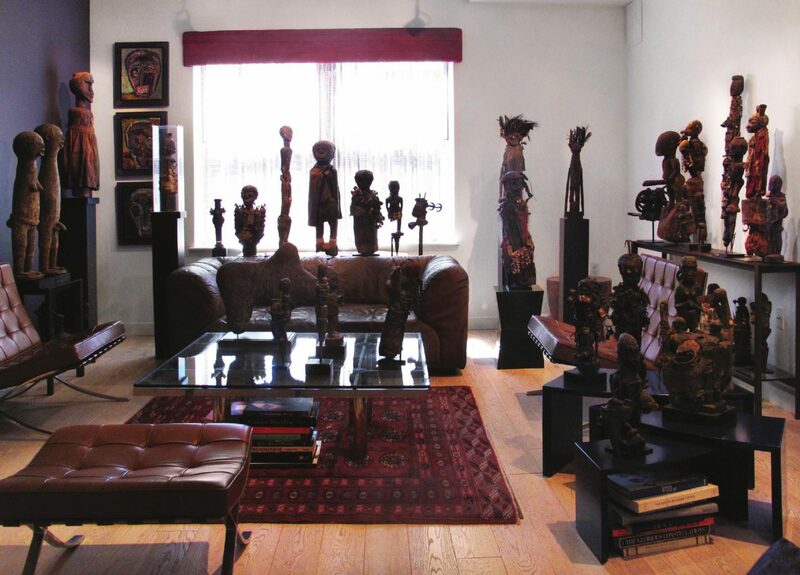 I didn’t see a lot of Fon material available in galleries but it just so happened that very close friends of mine had a substantial collection of lots of things, African figures included. They knew about my interest in bocio figures and recommended that I meet a dealer that they’d been working with for many years, Jacques Hautelet. I called Jacques and told him the kind of pieces that I wanted. He sent me his C.V. listing everything he’d done and been involved with. Among his clients were the Metropolitan Museum of Art (MET), the Cleveland Museum of Art, and the Art Institute of Chicago., he also came with a recommendation letter from Susan Vogel. He told me on the phone that he didn’t like to deal with more than 20 collectors, anything more made it difficult to find pieces for his clients. So I knew that this was a man I could trust. I told Jacques what I was interested in, anything with a messy, fetishistic quality. He said that he had never, in his 40-year career as a dealer, had anyone ask him for that kind of material. 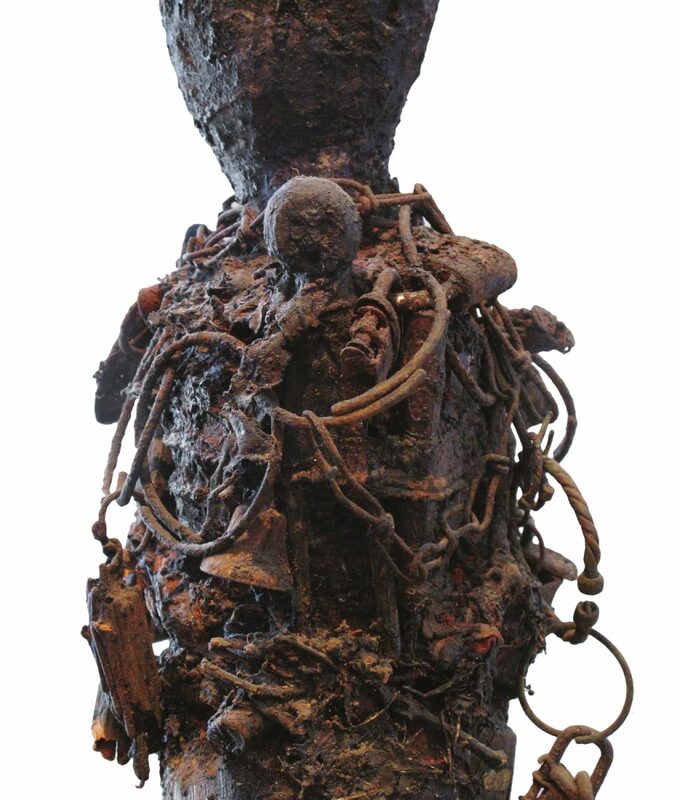 He explained how he worked—he would send me pictures, along with full provenance information of the objects that he’d identified and that I would have to decide, based on the photographs alone, if I wanted the piece or not. I could not return the pieces once delivered. That process really sharpened my ability to pick things. Following our initial conversation, Jacques told me to give him two months, and that he would take it as a personal challenge to find what he could in old European collections. Three weeks later, a package came in the mail and in the parcel were images of seven figures. 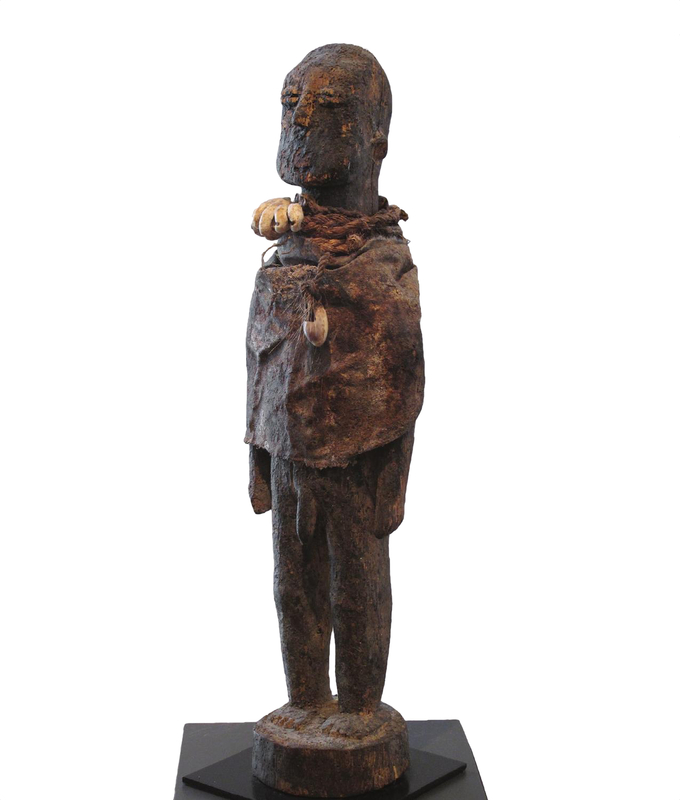 In that first shipment, two of the figures were of equal quality to those at the Museum for African Art exhibition but I ended up keeping all seven pieces. And that’s how Jacques and I continued to work together until I stopped the collection about 10 years ago for two primary reasons: first is that I no longer have room in apartment, I didn’t want my home, and place of business, to look like it belonged to a hoarder and second, I’m a man of very modest means. I didn’t plan to put huge amounts of money into the collection. I did buy some things at 30K USD but a lot of the pieces were well under 10K USD. I’d say that I depended on Jacques for a good percentage of my collection but once I felt comfortable with bocio figures, and if I could find things I liked at art fairs, then I’d usually just go for it. I’ve bought a few things at auction too, so the collection isn’t entirely built on advice from Jacques. I remember turning a few things down based on the pictures that Jacques had sent me. Once in a while he got upset with me and told me that I’d missed the point. Occasionally I listened and I’ve grown to love those honest pieces. 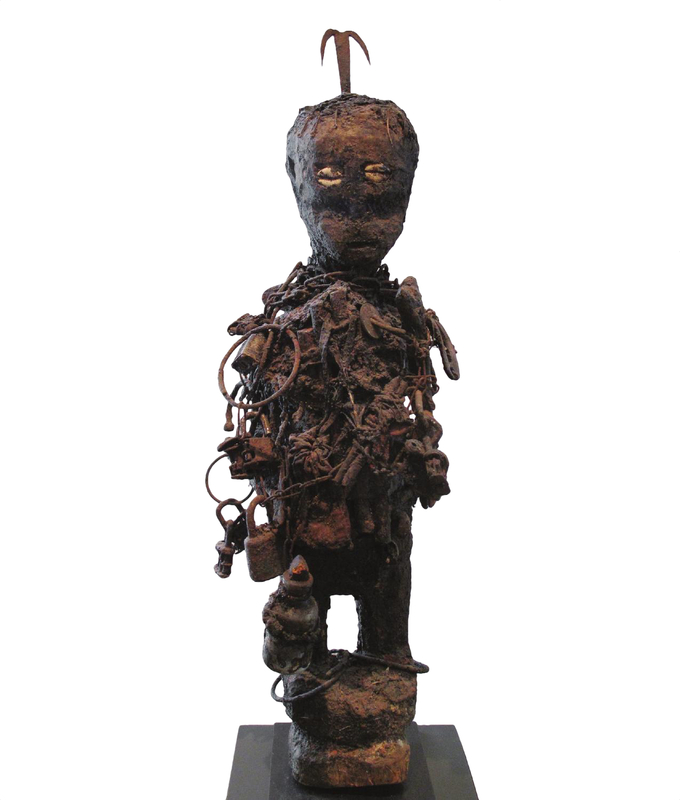 I think all real African art is very honest. 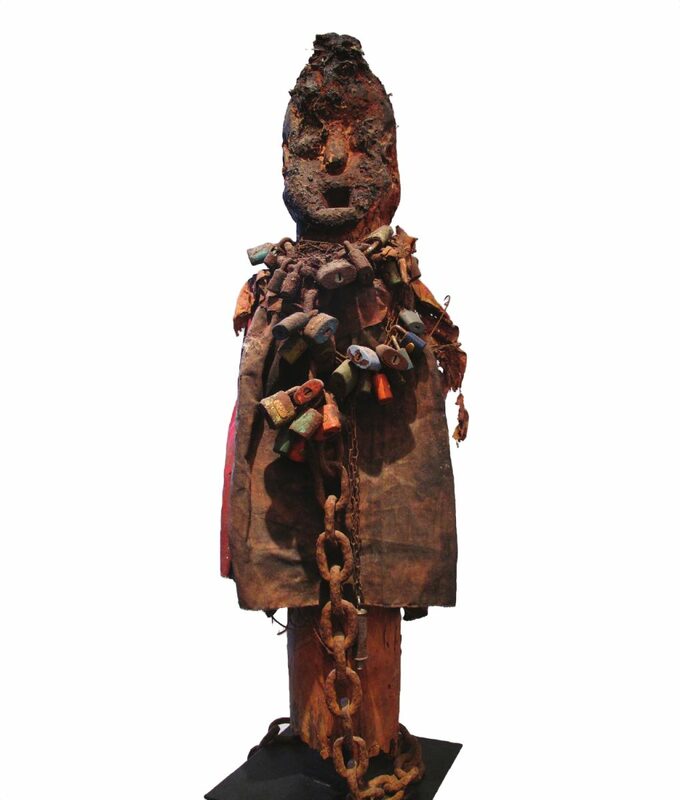 These are straightforward pieces made by some of the poorest ethnic groups in the West African region. Who are the Fon? They were a group of people kidnapped by Benin and shipped across to Haiti, Brazil, Louisiana, and the coast of South Carolina. 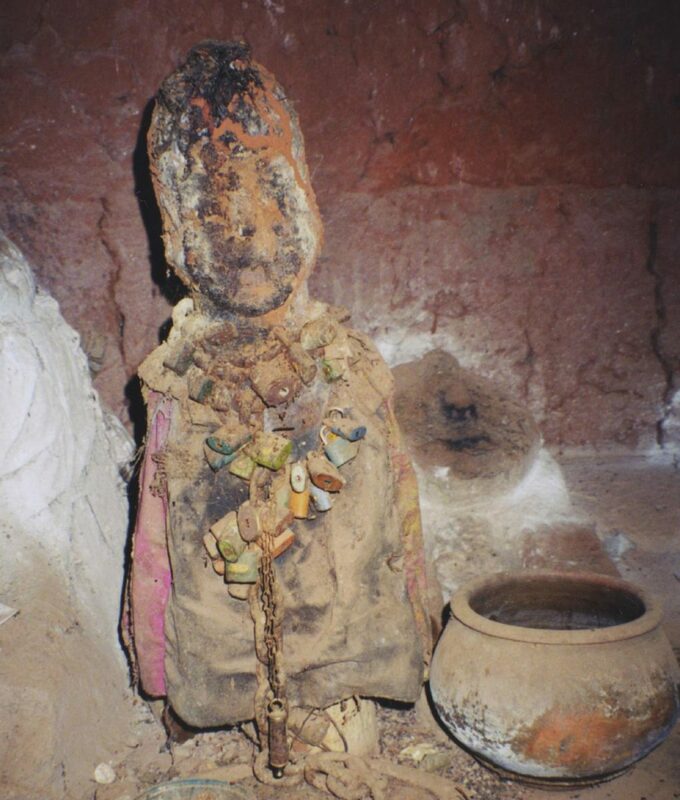 That’s how Voodoo developed in the Americas, in Fon culture it’s called vodun. These objects were all meant for curative purposes. 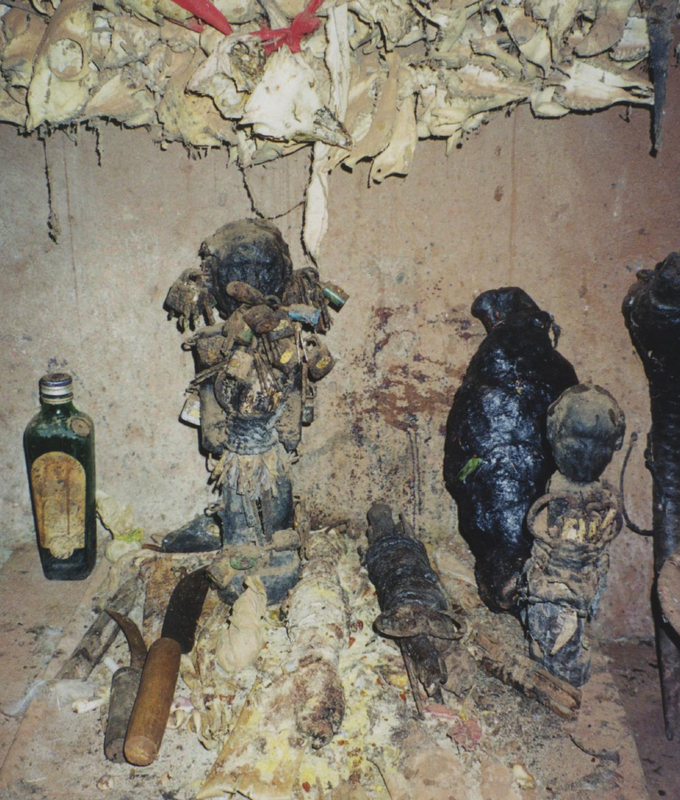 The only evil figures with malicious intent that I own are two kafigueledio Senufo figures associated with black magic. What was your biggest mistake when you first started collecting? I think I can honestly say that I didn't make any big mistakes. I'm sure the early, lower-priced pieces were not museum quality but they also were not street fair pieces. I think, as in anything, the more a person is exposed to increased levels of quality, the better that person's taste and authority about the field becomes. That's why I decided to restrict myself to a particular field. And this was a field that I could afford to get really good stuff in and put together a strong collection. I’m not sure which other field collectors can do that in now, it’s certainly much more difficult with masks and figures. Perhaps spoons and headrests now. Field photo by Luc and Ann, of the bocio in a divination shrine, with offerings being made to it. What star piece are you still looking for? It wouldn't be one... it would be six. 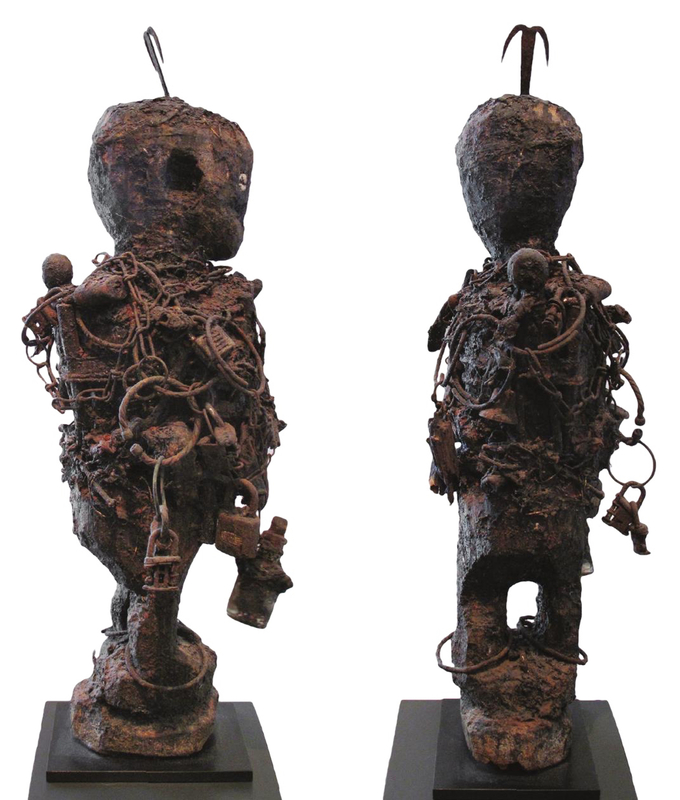 The six Songye nkisi nkondi figures shown at the MET. Walking into that room was a religious experience, a mind-altering emotional experience. That show was one of the best things I’ve seen at the MET, or anywhere really. What do you wish for the future of your collection? I’ve always looked at my collection as being my retirement annuity! But seriously, I'm 74 now and finished with my collecting. I’ve enjoyed the collection for years but I don’t want to put in up for auction where pieces are cherry-picked, where the collection will be broken up, and I’m left with the less impressive pieces. If I’m to sell the collection, then the entire collection has to be bought. I don’t want to break up the family. No one else in this hemisphere has a collection like this. The Jacques Kerchache collection went to a museum. I seriously think I have the largest collection of this kind in the world. Fon bocio figures don't appeal to a lot of people and you just don't see it every day. 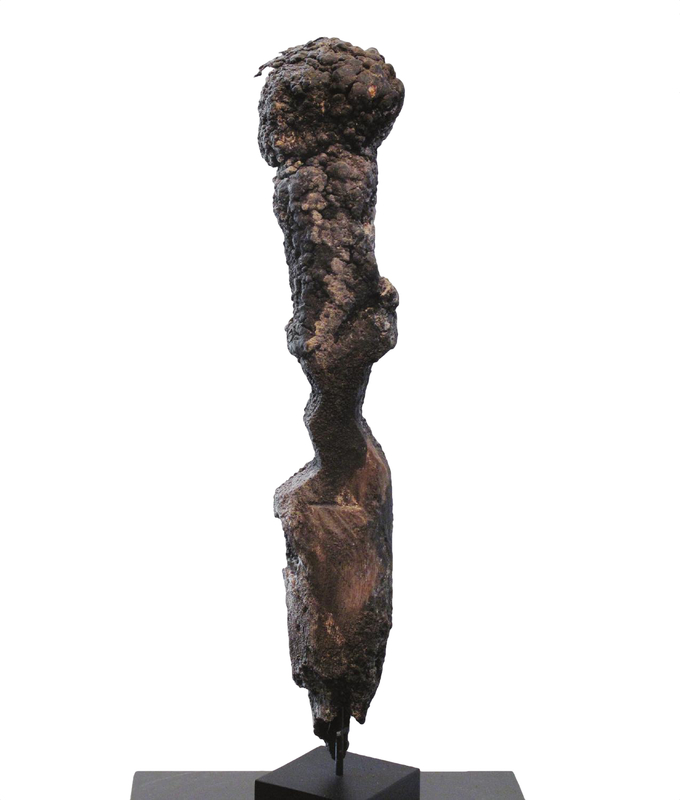 When you do see bocio figures, they are not terribly expensive. Field photo by Luc and Ann, of the bocio in a divination shrine. I don't know what to recommend to anyone that decides that this is a field they’d like to collect in really because I had a difficult time getting my collection off the ground in the beginning. Jacques Hautelet did a lot of the heavy lifting—travelling to Europe, finding pieces in unknown collections, shipping the pieces to me directly. I would never have had the know how to do the work myself. So my advice would be for collectors to find dealers that they trust. I have had the great pleasure of putting together the collection, in its present form, over the past 35 years. I still see new intricacies in the works every day, but realise that the time will soon arrive when I will want to see them passed on to new owners, who will enjoy them as much as I have. 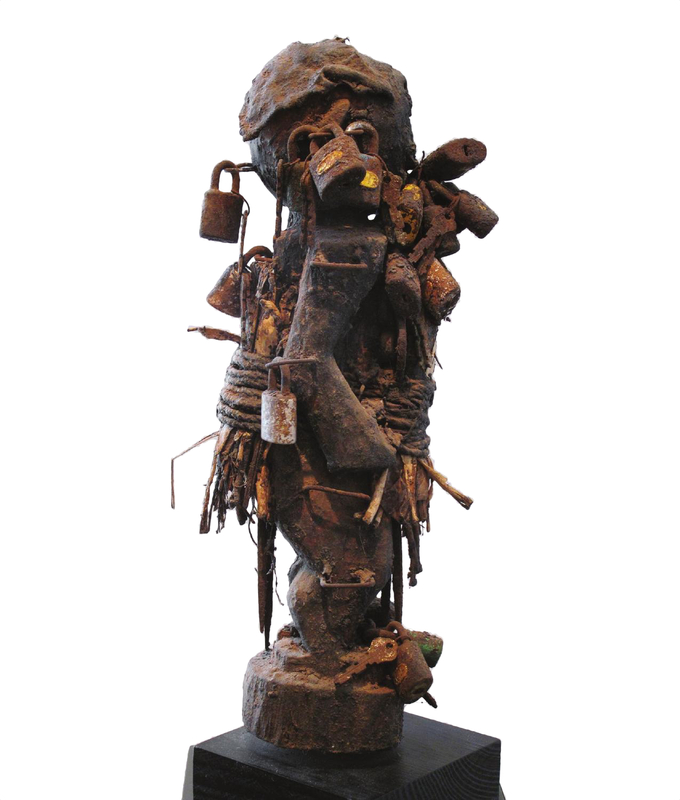 To see more of William Harper’s collection of bocio figures, check out his profile on ÌMỌ̀ DÁRA Spotlight and his collection catalogue, Dark Matter.